Hi! My name is Mrs. Grutsch. I am so excited to be your first grade teacher! I have the best job in the world. This is my 9th year of teaching. Before joining the awesome team at Seven Hills, my husband and I taught internationally. I taught first grade for 2 years in Honduras and second grade for one year in China. We had a great time traveling and learning about some other places in the world. My husband is a teacher in SHPA Upper School so if you have a child in 6th grade he/she will have Mr. Grutsch for a teacher! We have a wonderful, curious son named Freddie. He is five and will be in kindergarten at SHPA this year! In our free time we like to hang out with family, garden,go camping, bike, and dream about traveling again. I can't wait to see what the students will accomplish this year. If you have any questions or need to talk with me please call 952-426-6005 or email kgrutsch@shpamn.org anytime! Every Monday, the students will receive packets that are due the following Monday. Please keep in mind the homework is meant as independent practice, not as a way to challenge your child. Being a rigorous school, your child receives daily challenges in the classroom. The most important skill for a first grade child is reading, or being read to, every day for 20 minutes. Your child will receive the week’s spelling words in their spelling notebook. Please be aware that the words may appear too simple, and your child can already spell them. But they are the building blocks to our phonics, spelling, writing and reading program. We encourage you to practice these words with your child multiple times throughout the week to prepare them for spelling tests every Friday. Although the spelling notebook is not due until the following Monday, I would reccomend that they are turned in on Friday so that they are not forgotten over the weekend. Each student will have a take-home folder to use as a way to bring all paper items to and from school. Please empty the folders every night and return to school every day. Please use these folders to bring notes and return forms and homework. Remember to record daily reading on the sheet in the back of your folder. Please review your child’s planner each night as it is a great way to review the day. Your child may celebrate his or her birthday on their birthday by bringing a special treat to share with the class. As you already know, there are many students at SHCA with severe allergies. All treats must be from the approved snack list. You should already have this list, but if you need a copy please let us know. Summer birthdays may be celebrated any time, just let your teacher know the day you and your child have chosen. Please remember that unless ALL boys and girls are invited from the class do not have your student hand out invitations at school. First grade lunch is from 12:10-12:30. Please be sure to mark the days your child receives hot lunch. The teachers do not have your lunch menus in the classrooms, and the school does not have extra lunches for those who forget. *Each first grade room with have snack every day. Please send ONE, healthy snack with your child each day. Teachers will not provide snacks for those students who do not have one. As always, be sure the snack is from the approved list. First Grade will send out a weekly newsletter for their classroom. To save on paper, we will be emailing the newsletters to you on Monday. Please be sure we have your correct email address! If you aren’t receiving emails from your teacher, please let us know right away. If you prefer a paper copy of the newsletter, please let your teacher know. Hello! Don't you just love this site! There is SO much on here. 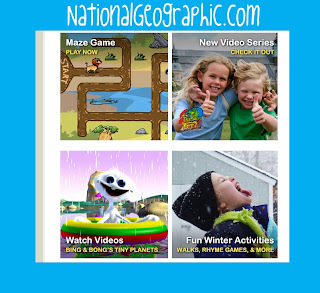 Your child can pick his/her favorite show and play a bunch of learning games for that show. Right now M. loves playing theCurious George games, although the T.V. show is a little young for her, the games are right on her level. (I wish I would have known more about this site when I was a teacher, there are very specific games you could play and coordinate with the theme you are learning.) The game shown is called Present Time, you choose a gift, go to the store, decorate the wrapping paper, and give it away, it's great! We also love the SuperWhy Spelling games, they are too difficult for her to do on her own, but they are well done and give lots of helps and rewards. Here's a wonderful site c/o one of my readers! This site is great because it's split up into grades K-5 so there's no guess work there! I spent a lot of time on this site trying to find the best games to tell you about. I think my favorite K game would be the Pirate Marble game which is great for learning addition, and connect the dots. For 1st grade it would be the foul shotwhere you can practice math facts to earn basketballs to shoot a foul shot, the math can go up to a 4th or 5th grade level. There are also telling time games and learning coin games as well. For 2nd grade my favorite would be the fun typing gamehere too! 3rd grade fave would be Pop the Words which letters fall and you can make words out of them to pop the letters. My 4th grade fave is division drag race which you race others in dividing numbers and go faster when you answer them correctly. My 5th grade fave is the U.S. Map and World Mappuzzles. 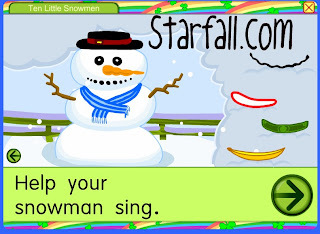 There are also fun seasonal and holiday games for each grade level when you scroll to the bottom of each grade levels page. Too much info?? Sorry, this site was just really fun to explore! Well after I posted this list on Monday I found an phenomenal site on Wednesday! I can't believe I've never been to this site. 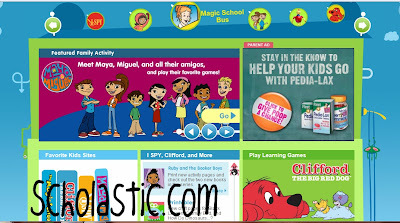 It has hundreds of educational games, for literacy, math and science. It also has learning videos on subjects like the plant life cycle, frog life cycle, the 5 senses, and more with review games you can play afterward. It has lesson plans, tons of free printable worksheets, arts and crafts coloring pages, and a cute blog. What a great resource! My only complaint would be that the games are all narrated with a robotic voice, but other than that it's golden! Wo this is another great site. It has games from books like The Magic School Bus (which is oozing with science fun! ), Clifford, WordGirl and more. This site is has games for kids ages 3-7and another section for kids ages 8-12. Thanks to Jane and the Jitterbugs for telling me about this site! I am so excited about it! 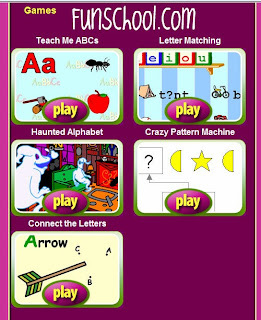 This site has lots of learning games for kids of ALL ages. It's very tutorial centered which is good for learning a new concept. I also love the Kids Corner which you can explore lots of science centered ideas, such as the Four Seasons (as shown in the picture). You can paint using movable parts like rain clouds which are actually raining! Fun fun fun site! I know I'm crazy but I keep finding more and more sites! This site has a bunch of games that are all science related. They are all pretty fun. Some of them like Animal Jam require an e-mail address and some personal info about your child, just FYI. They also have a bunch of geography games, adventure games, action games, puzzles and quizzes, games for young children, and all of the games really are science related. They also have science experiments, videos, and interactive information about animals and countries. The more I kept digging, the more I found that was well done and educational. I thought this was a pretty cool site, and had tons of educational value! Here's another new great site that I found. I feel like I'm on a treasure hunt! Highlights is a classic magazine that has been around for years. They are very well known for their hidden puzzles in their magazines. 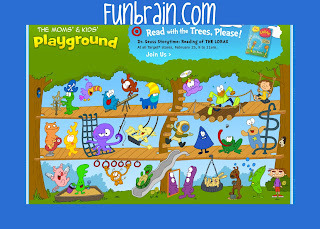 On their site for kids they havestories that you can have read to you and tons of games, their specialty is hidden picture games which you can click and the hidden image appears. This is another great site if you are learning a theme for the week and you would like to practice newly learned skills.